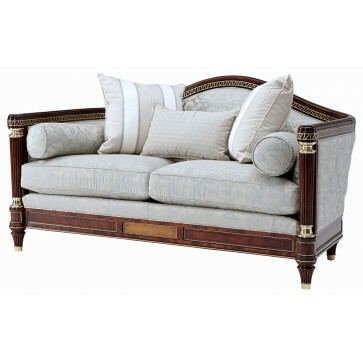 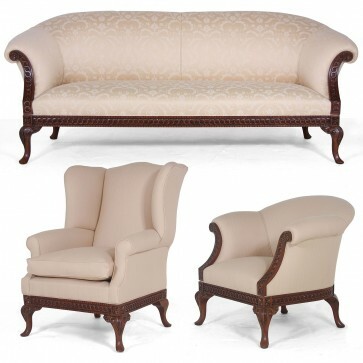 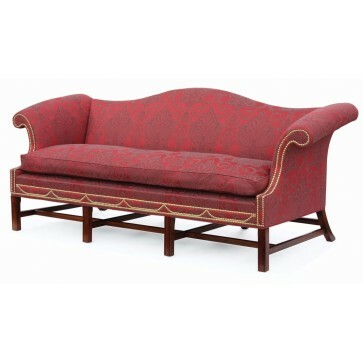 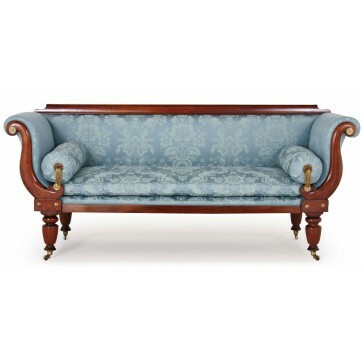 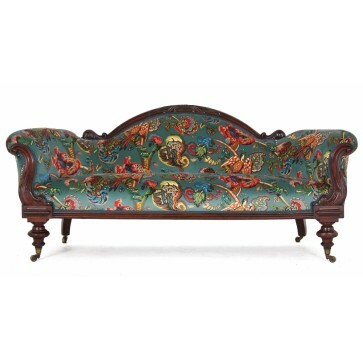 The Chatsworth has an English made solid beech frame with hand carved solid mahogany legs which are dowelled, screwed and glued into the frame. 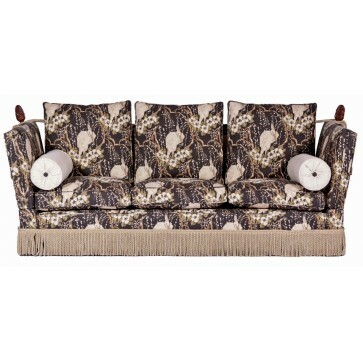 The seat and back are traditionally upholstered using jute and hessian with hand sewn individual coil springs and finished with a duck feather filled seat cushion. 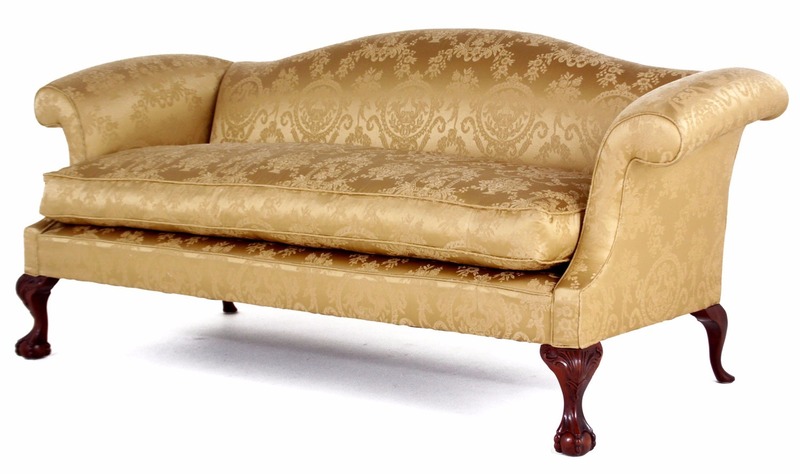 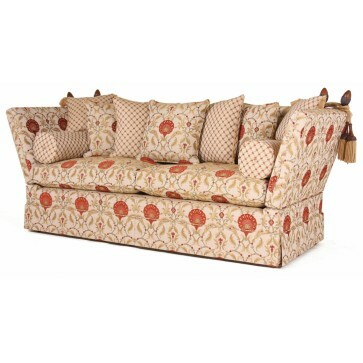 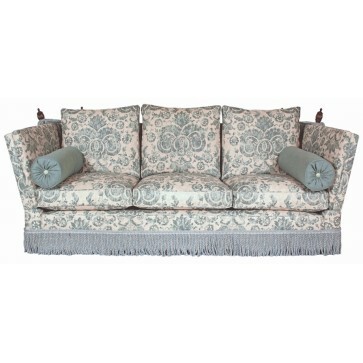 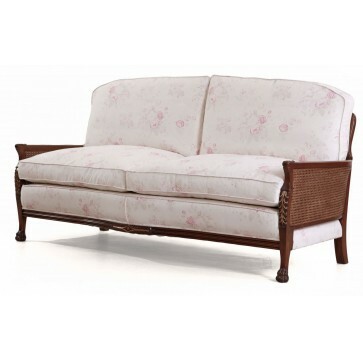 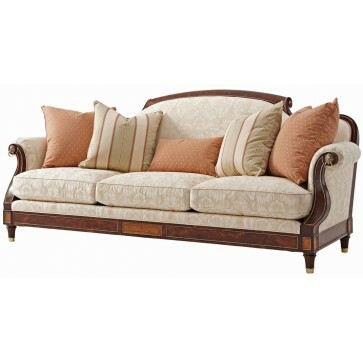 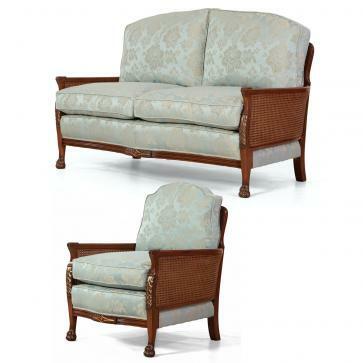 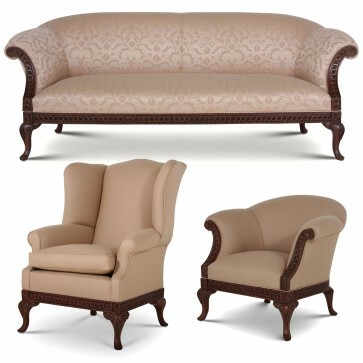 3 seat sofa in Gainsborough Country Graden silk with self piped finish and ball and claw legs.